The adidas Speedball is a classic training device for boxing training or other combat sports. You can improve your punch ability and reactions with a speedball. 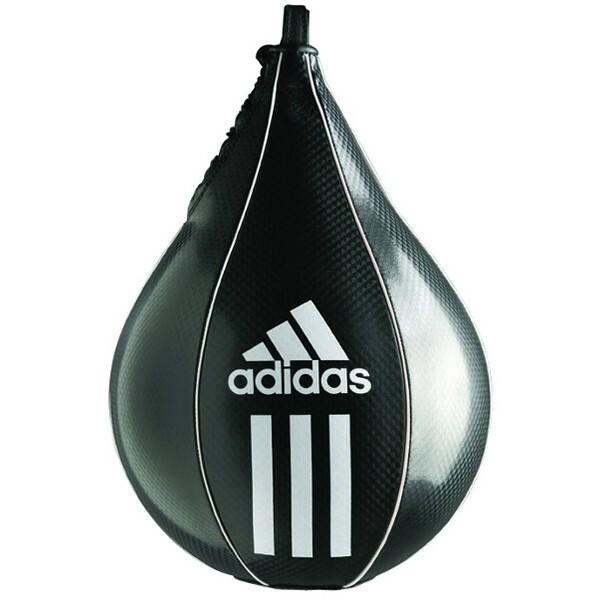 The adidas Speedball is made of robust PU synthetic leather with woven support, the valve bladder for inflation can be exchanged. The adidas speedball gets completed by the noble, soft adidas design. The adidas Speedball is available in two sizes. Everlast Swivel Standard In stock!